Sympathy for the devil. A few words on behalf of sulphur dioxide. I am indebted to biblehub.com for providing these two versions of Revelations 20:10. They are very similar – apart from the notable replacement of “fire and brimstone” with “sulfur”. It may be coincidental, but the use of the chemical rather than the poetic name quite vividly illustrates the way that sulphur (to use the English spelling) has been increasingly demonised in recent years. For a very distinguished Spaniard I met a few weeks ago, sulphur dioxide was responsible for what he evidently believed to be the recent decline of Spanish wine. Until 1978, he said, no-one in Spain used the chemical. Answering him felt a little like telling a sophisticated adult that the world was not, in fact, flat. Sulphur dioxide has been used by winemakers for a very long time. The Romans burned sulphor to clean the interiors of their amphora and as a preventative against the bacteria that would turn wine to vinegar. That practice almost certainly continued over the centuries, and it was given the royal seal of approval in 1487 by the King of Prussia around 125 years before the publication of the King James Bible. 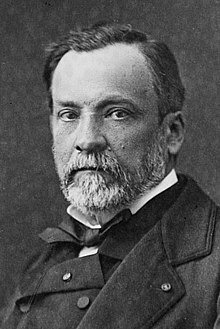 In 1864 Louis Pasteur proved that micro-organisms were responsible for both fermentation and a wide range of spoilage. Dairies across the globe learned valuable lessons from Pasteur about desirable and undesirable micro-organisms, and brewers learned how to get positive results for particular beer styles by careful management of potentially negative organisms such as Enteric bacteria, Kloeckera apiculata, Lactic acid bacteria and Brettanomyces. But the message took a long time to penetrate much of the wine industry. Over the years, I have visited wineries in which hygiene was quite obviously a very foreign concept. When the “flying winemakers” first went into European wineries on behalf of UK and US buyers, they often said that much of what they had to do involved simply focusing on cleanliness and grape ripeness. These were the “good old days” before “industrial” winemaking allegedly introduced “blandness” to European wine. I can look back at that time without the use of rose-tinted glasses. I remember cooperatives scheduling harvest delivery dates on the basis of their members’ names. Alberto Aranjuez would pick his grapes on September 1st while his neighbour Ziggy Zenovia would have to wait until the 14th. Irrespective of the maturity of either of their crops. Growers who arrived with their grapes at noon would see them oxidize in the midday sun as the winery downed tools for lunch. Work also stopped at weekends. One flying winemaker reported having to break into the bodega where he was overseeing the fermentation of wine for a British supermarket. “They wouldn’t give me a key and I wasn’t going to leave my vats to their own devices for 48 hours”. Cleanliness was often rudimentary. I met another Australian who was working at a cooperative in south west France during a particularly tricky harvest. Relations with the directeur were not good, he explained. There had been an argument over the need to rinse the hoses, with the co-op boss claiming that “the wine washes them; there’s no need to do it with water”. To prove his point, the Aussie had found a dead rat (“there were plenty of those”) and quietly stuffed it into the end of one of the hoses just before leaving the winery for the night. Next morning, he persuaded the directeur to check the hoses with him and, naturally, “when he picked one up, the rat fell out, straight onto his face”. Most wineries now are far more conscious of the need for hygiene, but the science still seems to be fairly rudimentary, at least when set against other beverages. It is not so long ago that I was given a French Syrah to taste by its producer. What do you think of it? he asked. It’s good, but a bit reduced, I responded. Affronted, the grower, said “Non! Il renarde un peu, c’est tout”, If you’re not familiar with the French verb renarder, nor was I because it fails to feature in my dictionary. I think it means “to fox” or “be like a fox”. I know about winery cats, but I ‘m still unclear over how foxes fit into Gallic vinification methodology. Which brings me back to that old devil, sulphur – and the drive towards producing wine with little or no SO2. My comments about “natural” wines in previous posts and elsewhere has – quite reasonably, if not entirely accurately – given me a reputation as something of an enemy of that movement, and a sulphorphile. My argument is actually against the term “natural”, the holier-than-thou attitude of too many of its supporters, and, most firmly, the sheer amateurishness of much of the winemaking, and the faults that this unsurprisingly engenders. Believe it or not, I actually welcome the reduction of additives in wine – and would be delighted to see ingredient labelling, as pioneered by the Co-Op chain in the UK and by Ridge Vineyards in the US. Having been very impressed by the quality and reliability of Gerard Bertrand’s Naturae range of Zero-SO2 wines, I’m even looking at producing an unsulphured version of our Greener Planet wine this year. Like Bertrand, and some of the best Zero-SO2 “organic” producers in the US, we’re not, however, going to do that without taking a very careful look at how we are going to end up with a wine that is stable and reliable. Like Betrand too, we’ll print a “best-before” date on the label, allowing two years or so of cellaring. On the other hand, would I consider omitting the brimstone from a premium wine that might benefit from a decade or so of patience before being opened? No way. The finest wines I have ever drunk have all owed their survival over decades to SO2. When I raised the issue of longevity with “natural” wine fan Alice Feiring, she replied “who cares” and directed me to old bottles of Chateau Musar. Having just sampled a cloudy, volatile 2000 Musar, all I’ll say is that I can think of a long list of other 2000s I’d rather drink. But 2000 is a long time ago. As Doug Wregg, director of sales and marketing, of UK distributor Les Caves de Pyrene, and one of the strongest leaders of the “natural” movement was quoted as saying in the drinks business. “60-80% of natural wine should be drunk within the first year, after that they fall apart… Most of the wines are light, pale, fizzy and fun. They’re meant for wine bars rather than cellars… It’s a miracle when something lovely happens in the bottle a few years down the line, but I wouldn’t bet my house on it”. Neither his, nor mine. Uncontrolled microbial growth during and after the fermentation of wine can change the chemical composition and ultimately the quality of the end-product. Strains of lactic acid and acetic acid bacteria are usually involved in wine spoilage and can lead to ropiness, volatile acidity, acrolein formation and bitterness, tartaric acid degradation and geranium off-flavour (Du Toit and Pretorius, 2000). Certain strains of lactic acid bacteria (LAB) can also produce biogenic amines and ethyl carbamate precursors. Despite the significance of LAB in malolactic fermentation, it is important to control the presence of naturally occurring LAB in a winemaking environment. Also don't forget that many yeasts produce SO2 during fermentation. Selected yeasts can be chosen for their low sulphite production, but their use would presumably be anathema to “natural” wine producers, who prefer to rely on wild yeasts. “No added SO2” would be a more realistic claim than “sulphur free”. You don't have to work hard to unpick the weave of the “natural” argument! You're on a roll! Yet another interesting post, which invites discussion! 1. Perhaps the very distinguished Spaniard meant to say the AB-use of sulphur? That's what I would have said, though I'm neither distinguished nor a Spaniard! 2. Agree 200% about the cleanliness and hygiene. 3. Closures. For me the oxygen permeation rates of different types of closure is not that important, it's a mere technical detail, as they're all more or less equally acceptable. Far more important to me are the environmental issues, ie cork oak forestry is sustainable and beneficial environmentally, socially and culturally, while plastic and aluminium production is polluting, and the world could survive perfectly well without yet another plastic or aluminium product (closures) for wine bottles! Hardly essential to civilization as we know it! I think good quality corks from reputable producers/suppliers are perfectly acceptable and have no problems at all with TCA or cork taint. 4. Most natural wines are made to be drunk young and are not made to be laid down and aged. It's very difficult to find a nat wine that has been intentionally made that way. This is an example of another 'false debate'. It's like saying French wine cannot age well because every single Beaujolais Nouveau over 10 years old that I've ever tasted has been horrible!!!! What do expect if you taste a wine meant to be drunk young, after 10 years? 5. I know that there considerable confusion among the public in general as to what 'natural wine' is, and one of the sources of confusion is equating it with “no sulphur” or “no added sulphur”. I think I can say with a fair degree of certainty that the natural winemakers who dont add any sulphur are in a minority (even though they are louder and have a stronger presence in the media!). Natural wine does not equal no sulphur in my book and the use of SO2 is not anathema to me nor to many other nat winemakers. Just its ABuse. 6. However I believe that the use of natural yeasts is important, if not essential, for a wine to be able to express its terroir to the full. And that includes all the so-called 'undesirable' species. Using sulphur to kill off all the yeasts and then innoculating sacch.cerv. destroys the terroir, or at least a significant part of the terroir. Thank you Fabio. In answer to your points, no, I'm afraid the Spaniard did mean “use”. We'll have to disagree on closures. I've had far too many potentially great bottles spoiled by TCA and/or random oxidation. This week, the owners of Ch Dauzac had to throw away two magnums of 1990 out of three. The latest synthetic corks – and aluminium screwcaps – are recyclable. Hmm “false debate”. For centuries, one of the qualities of great wine has been its capacity to evolve over time. I do not often drink 30-year-old wines but actually do recognise their quality when I come across them. You seem to be confirming my impression that the Nats have simply ditched that aspect of wine – rather like musicians ditching melody, novelists giving up plots – and footballers giving up on goals. Ok, maybe I went to far on that last one, but you can see what I'm trying to say. The yeast question is open to debate. Wild yeasts definitely behave differently to efficient cultured ones, and the wines they make taste different too. My impression (as a wild yeast fan, but not an absolutist) is that much of that difference is sulphor-related. Montrachet, an inefficient commercial yeast actually produces wines that taste remarkably similar to ones made using wild yeast. Over time, I think the difference in the yeast almost certainly loses its importance. But then, as you say, time is not a factor that “natural” winemakers consider to be important. (I recall Alice Feiring's “who cares?” response to my query about “natural” wine longevity). I happen to love great Champagne. I think it has terroir character. It is made using cultured yeasts. I rest my case. Amazing post Robert, now we agree even with the term natural (I don't like it) , I think the wine consumers nowadays tend to consume younger wines, it is difficult to know an old Rioja from an old Burgundy sometimes…. There is something lost with everyone literally cleaning up there act, but for the most part this has definitely improved quality across the board. It is interesting to thing that the flintyness that people associate with Rieslings and such might actually be sulfur! Not too long ago I was able to taste a Sancerre winery that did two labels of the same wine; the Only diffrence was one was so2 and the other had zero addition of so2. They were completely different the sulphured was fresh & fruity; the non-sulphured was musky nutty and but still very good. If I tasted blind, i wouldn't assume they were one and the same and I would assume the non-sulphured was much older as well. Thanks Ethan. Your experience chimes with mine!